Choosing the right label applicator for your packaging line will bring several advantages. It will streamline your process while providing consistent output and lowering costs overall. 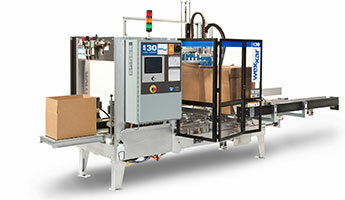 For our poultry customers at Atlantic, we recommend the CTM Label Applicator. We’ve found great success with this model in processing facilities. The CTM system allows for labeling the top, bottom and side of food products. The food grade friction belt helps to stabilize products while labeling. The CTM Labeler is ideal to help streamline your poultry packaging operation by improving productivity, speed, and consistency. Atlantic technicians are adept at assessing your needs and applications for a labeler as well as installing, and servicing the equipment. Contact us if you have questions or want to learn more. Explore more Equipment Spotlights for the poultry processing industry.